Just after midnight on a brisk January evening, electrician Mike Durflinger stepped into a metal construction bucket on the Bay Bridge, and ascended into the darkness two hundred feet above the top deck. Hovering in the blackness, the only visible sign of him was the blast of his headlamp illuminating one of the bridge’s cables, as he strapped a long string of lights to it. “Honestly, the first trip up is a little hairy,” said Durflinger moments before. “After that you just get used to it.” It might be a far worse task if the assignment wasn’t so grandiose. 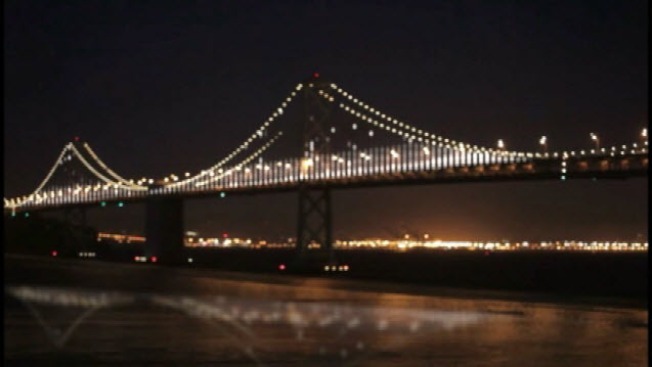 Durflinger was among crews strapping 25,000 small twinkling lights to the bridge’s cables for the upcoming Bay Lights project. “It’s actually exciting,” said Durflinger, back on terra firma. “Part of something only a handful of people in the world will ever be able to say that they’ve done.” The sight of closed lanes of bridge traffic and scurrying construction workers, brought a reality to a project that at first seemed fantastical. Artist Leo Villareal plans to use computer software to manipulate a 1.8 mile swath of lights on the north side of the bridge’s western span as a high tech piece of fine art. Villareal said he will base the moving patterns of light on the environment. “Things we see all the time,” said Villareal peering out at the bay from Treasure Island. “The movement of water, the traffic, any kind of movement is what I’m taking inspiration from.” Villareal said he will likely begin work programming the light displays in mid-January. So far, the installation is 40 percent done. 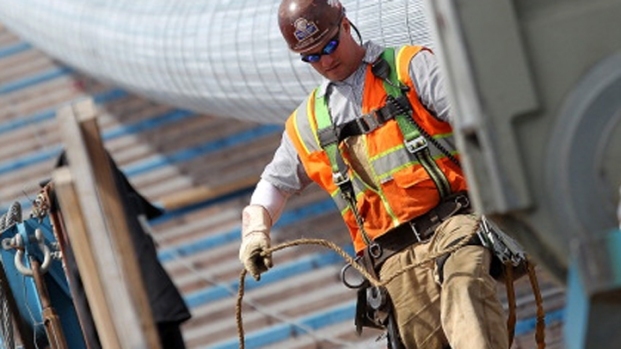 Crews are only able to work between 8 p.m. and 5 a.m. when a pair of bridge lanes can be closed. But because of the delicate process of shutting down lanes of traffic on the busy bridge, the light hanging consumes only a small amount of the allotted time. “As you can see, our biggest challenge is access,” said Saeed Shahmirzai, who is overseeing the light installation. 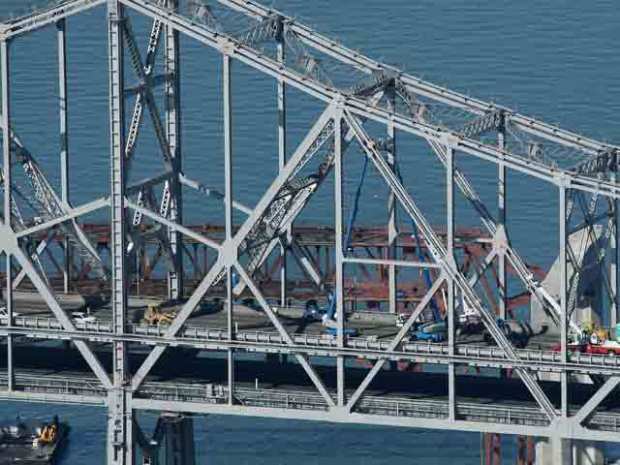 The work is taking place a couple hundred feet above the upper deck of the bridge and around 500 feet above the Bay. Workers scale the cables in metal baskets, then slowly descend, using plastic ties along the way to secure the small LED lights to the cables. “The cables are anywhere from one foot high to 240 feet high,” said Shahmirzai. “So imagine you are standing on deck level right now, you they have to be 25 stories up hanging lights.” The privately-funded project is officially set to switch-on March 5th. So far, organizers have raised all but $2.3 million dollars of the project’s $8 million dollar price tag. On December 5th, organizers turned-on the first batch of lights to see if they would work. The test was successful -- the glowing patch of lights seemed to stoke anticipation for the day when the project would begin. “From day one when this project came from design you always think about that moment,” said Shahmirizai. “And every day you get more excited. I’m sure when it comes on it’s going to be unbelievable.